This patch includes a batch file which will update all of the staff names in an NBA Live 08 Dynasty game with real names, as well as their various attributes, accurate as of the 2012/2013 season. Make a backup of your Dynasty save in case anything goes wrong. Extract CDBFLITE.EXE, cdbflite.ini and realstaff13_08.bat to your Dynasty save folder. 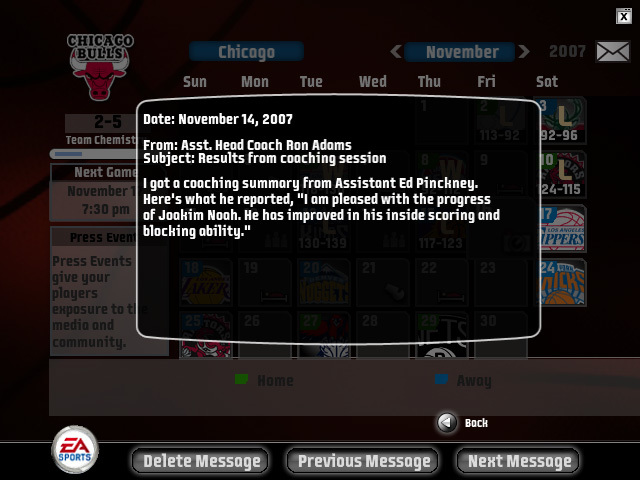 This is located in the saves folder under the NBA Live 08 folder in your Documents. Run realstaff13_08.bat and allow the operation to finish. Remove CDBFLITE.EXE, cdbflite.ini and realstaff13_08.bat from the saves folder and re-load your Dynasty save. The names and attributes of all team staff should now be updated.